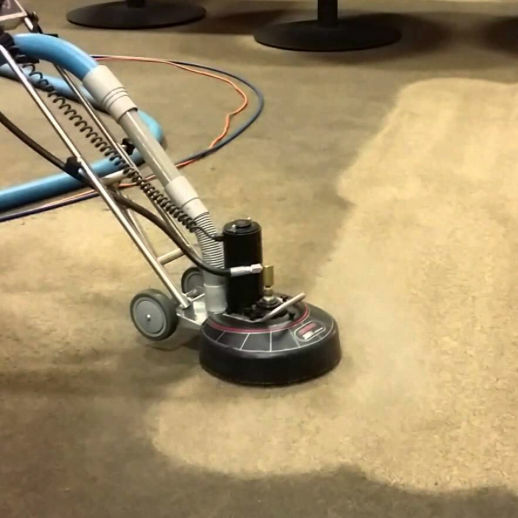 Our carpet cleaning and floor cleaning services use only the newest and most powerful machines, equipment, and chemicals available. We are committed to having the right equipment for the job, so that you can be confident your floors will look great. Hiring a professional with the proper equipment is faster, cheaper, and much better than doing it yourself with an under-powered rental carpet cleaner. Check out some of our equipment below. 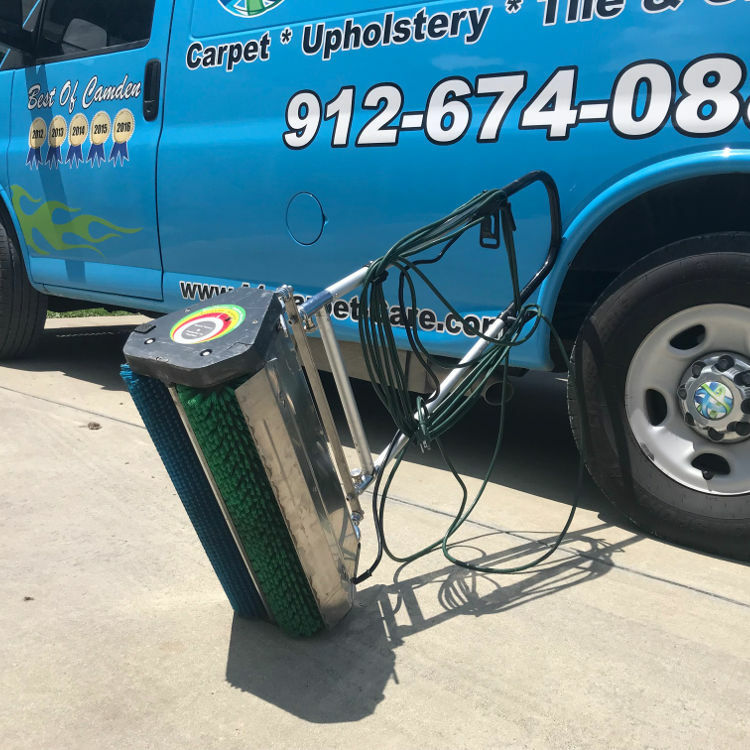 Our vans have 2” titanium glided wands that provide a tremendous amount of hot water (steam) to the “face-yarn” of the fibers of your carpet and immediately extract for minimum dry times. Each van is also equipped with stair cleaning tools, crevice tools AND an assortment of upholstery cleaning tools as well. (All of our wands and tools are sanitized between jobs for safety purposes). 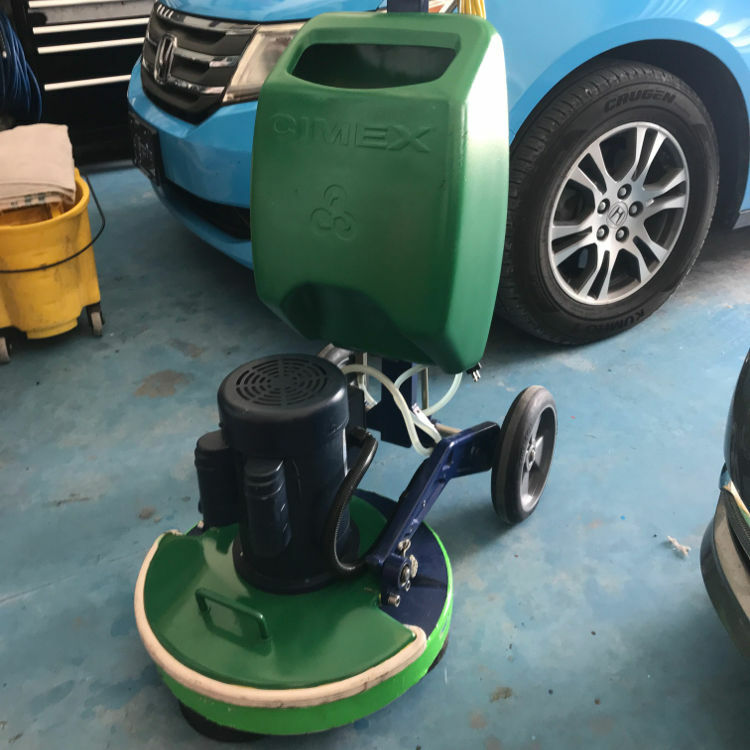 This is one of our commercial counter-rotating brush (CRB) machines that is used in agitation of carpet, tile & grout and wood cleaning methods. This extraordinary staple in high-quality cleaning has been used by the elite of our industry for decades. Nothing compares to the use of a CRB to dig-up grime and agitate surfaces. Each of our vans is equipped with a CRB machine. Step #1 is to vacuum well! Nothing compares to the WorkHorse Vacuum! Our customers LOVE to enjoy the show as this system fills up the canister. 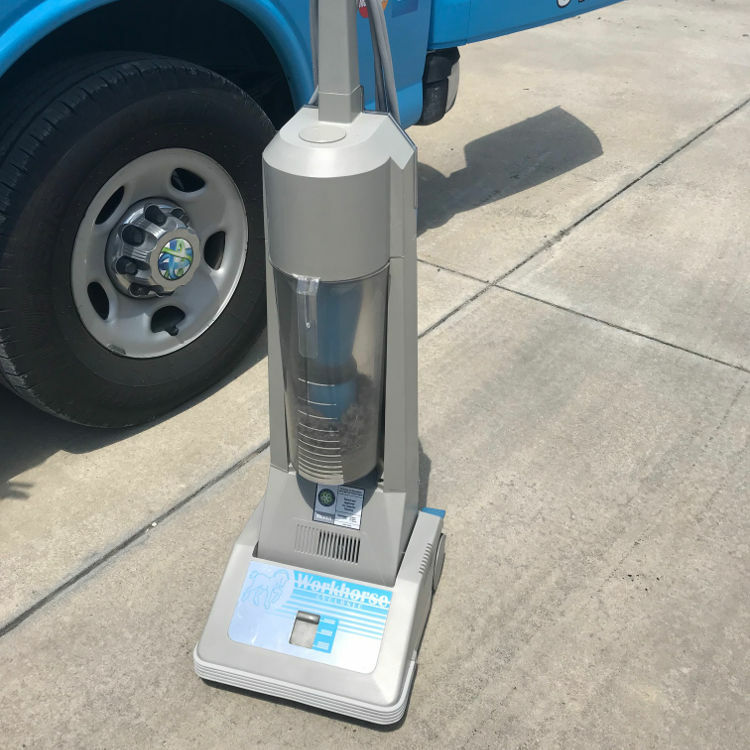 Each van has a WorkHorse Vacuum AND an additional bagged commercial vacuum (usually an Oreck), as not all carpet responds the same to every vacuum cleaner. We take great pride in the fact that our vacuum cleaners are cleaned out between every job and will remove the most dry soil and particulates possible before we start applying cleaning solutions. 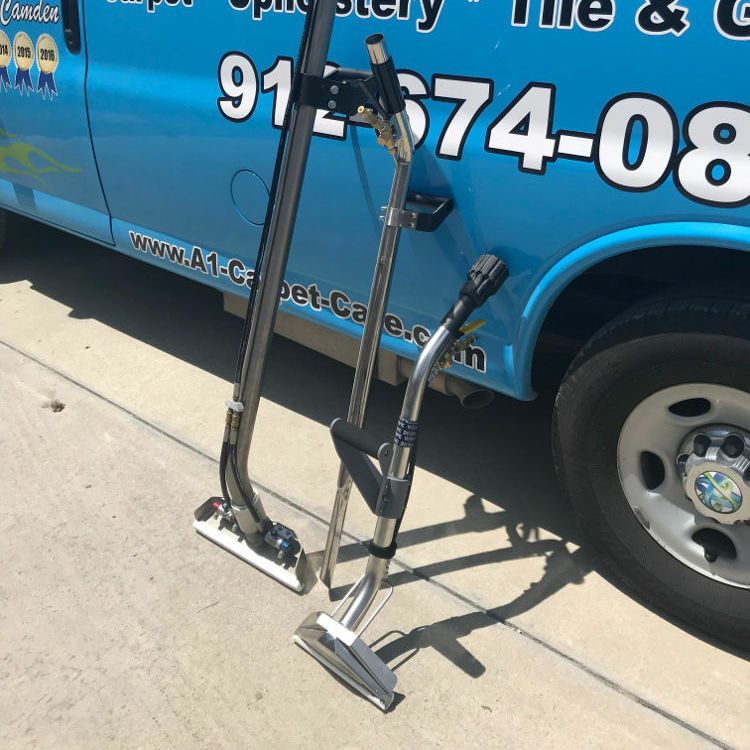 This industry leading VLM orbital pad cleaning system has revolutionized the way we are able to clean hard surfaces (tile, wood, stone, vinyl, & more) AND also happens to outperform hot water extraction carpet cleaning on many commercial glue down type carpets. With the RotoVac, the results speak for themselves! 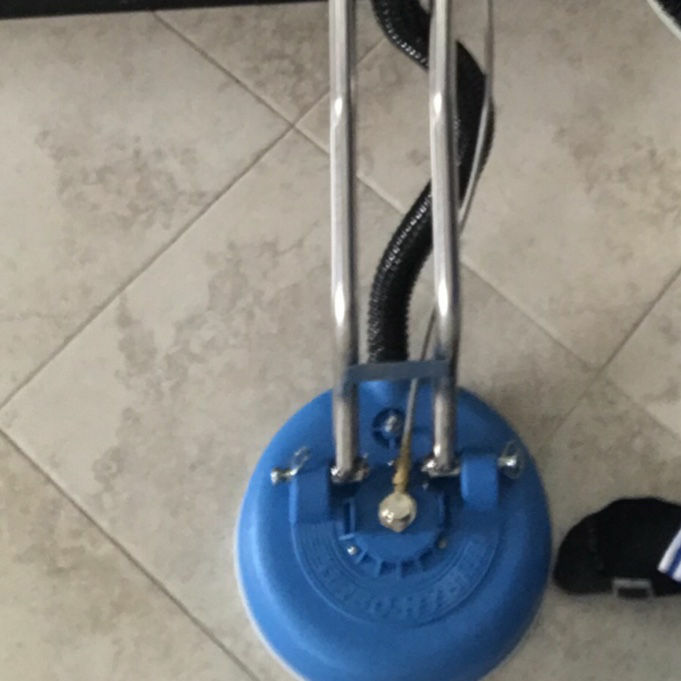 This remarkable restoration carpet/tile cleaning system has been utilized by our team thousand of times to “save” a carpet in desperate need of more than your “average cleaning.” The agitation this tool provides connected to our truck-mounted direct-driven heat source makes this highly requested service one of our favorite and most rewarding. 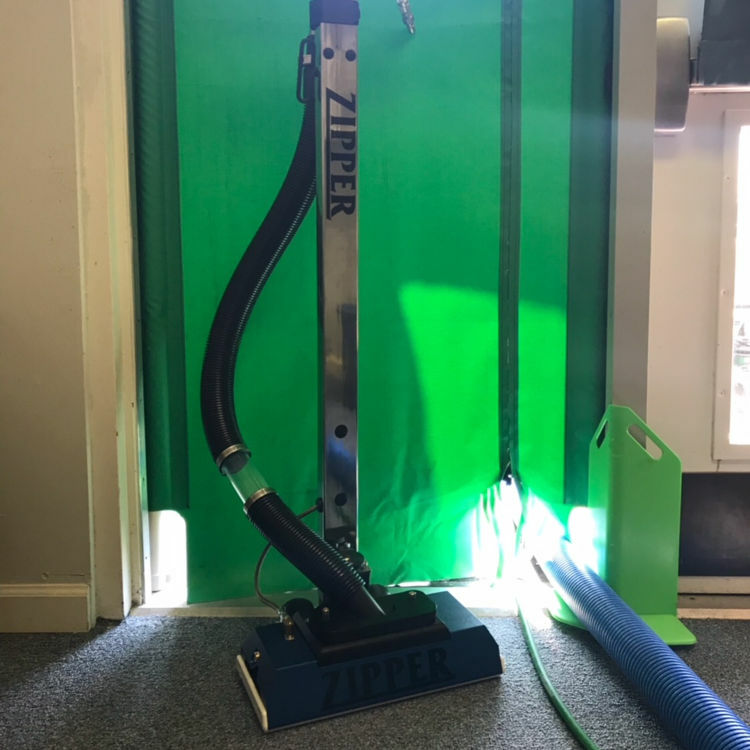 This is another favorite among clients that prefer or require something beyond “average wand extraction.” This tool has 6 hi-flow jets and two glides making it an EXTREMELY thorough cleaning tool (displayed in front of one of our “Seal-A-Doors”). Used for cleaning ceramic, porcelain and natural stone hard surface tiles and grout. These tools allow our 200+ degree hot water to be introduced to grout and tiles at pressures over 1000psi eliminating any residue or grime present after agitation. These provide extremely thorough rinsing and extraction inside homes and businesses. Every van is fully equipped for this type of work at any job. Send us a message and we will be in touch with an estimate!